Pillows | Hunnia Daunen Kft. 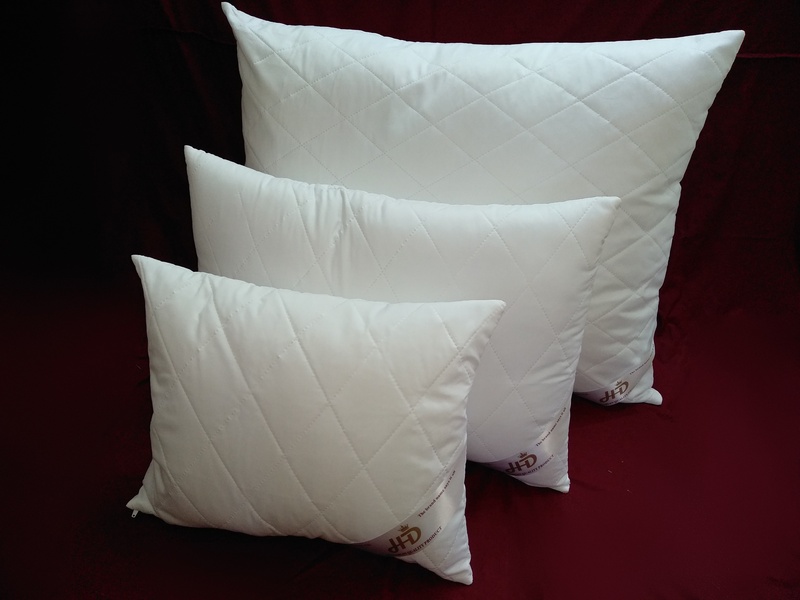 Premium product, we the best quality of Hungarian goose down. In everyday life we need healthy sleeping environment for good performance. 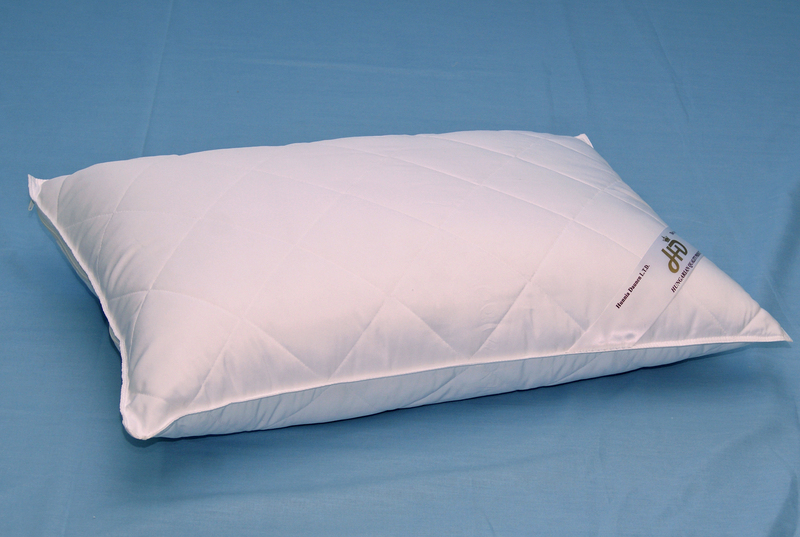 We don’t know better product for it then down pillow, filled with Hungarian goose down. 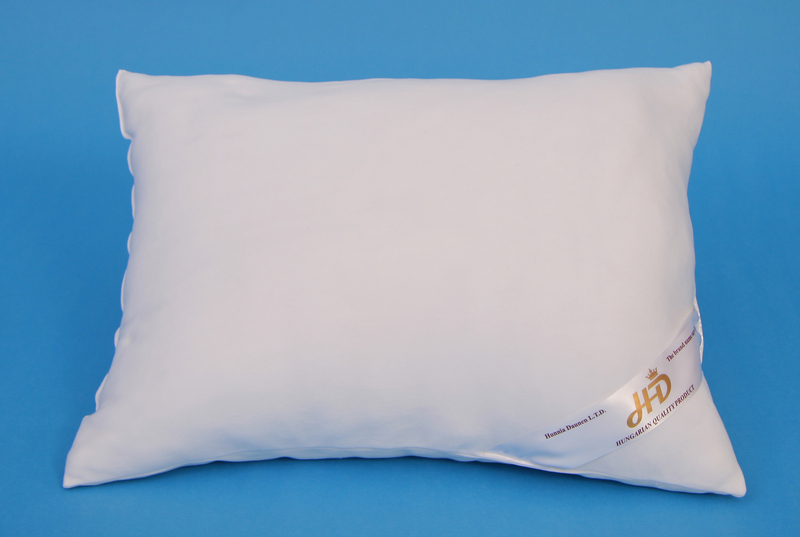 The 60% down filled pillow we recommend for people who likes traditional things. Excessively soft feeling is guaranteed. 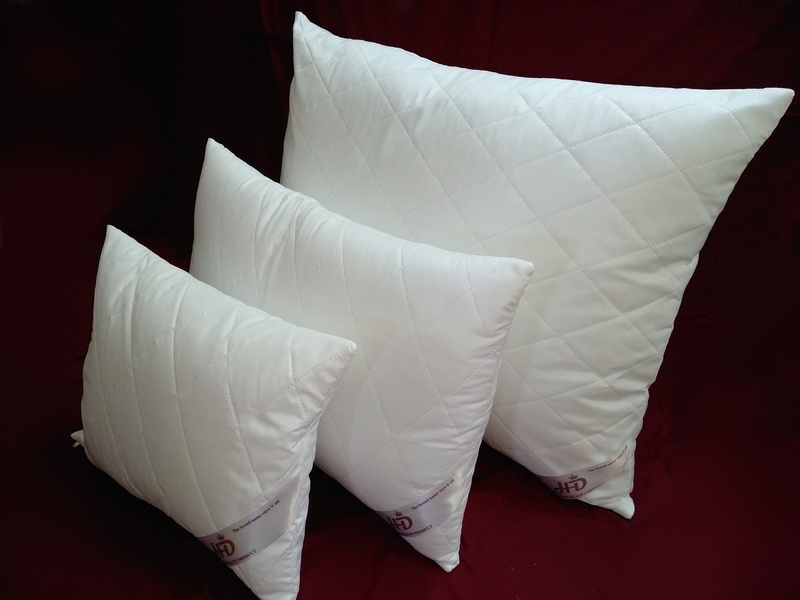 The half-down filling pillows /feather and down mixture/ are medium stiff and dimensionally stable. 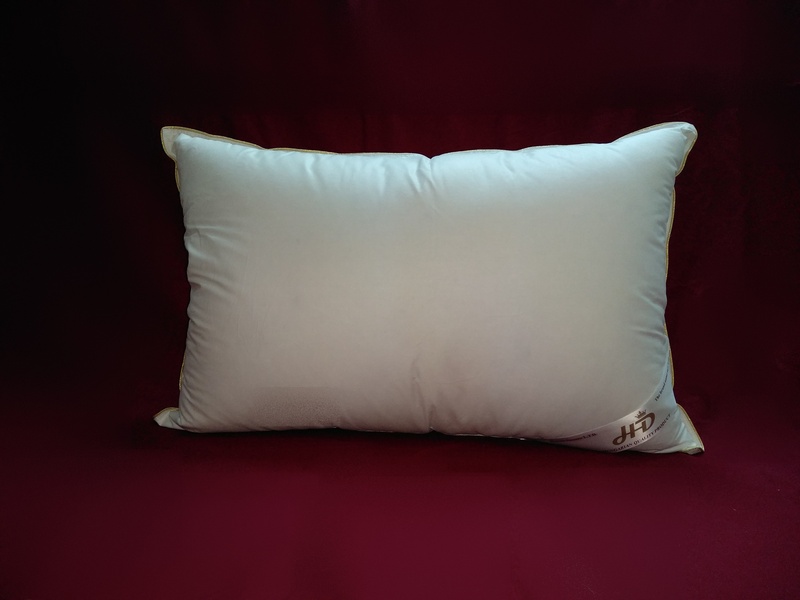 With proper quantity of half-down filled pillow retains the head, however with bad proper quantity filled pillow can cause headache. The down and feather filled products are realy timeless, even we can use them for decades. The inlet is 100% down- and featherproof cotton, what is breathable, but the feather and down can’t go outside from the pillow. The feather have a realy good thermal insulation, it’s toppingly orientate to the head and neck form. 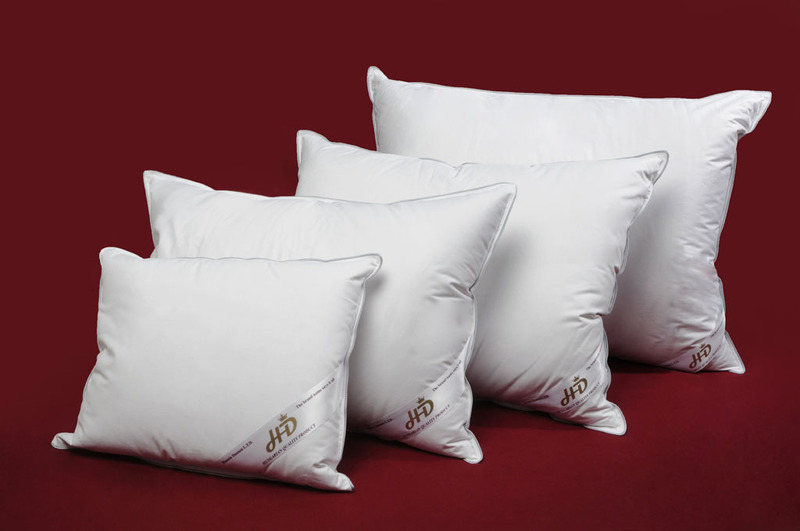 With proper quantity of feather filled pillow retains the head, however with bad proper quantity filled pillow can cause headache. The feather-filled products are realy timeless, even we can use them for decades. The feather and down gives you pleasant warm feeling because of their thermal insulation in colder rooms as well. The cover is 100% featherproof fabric. 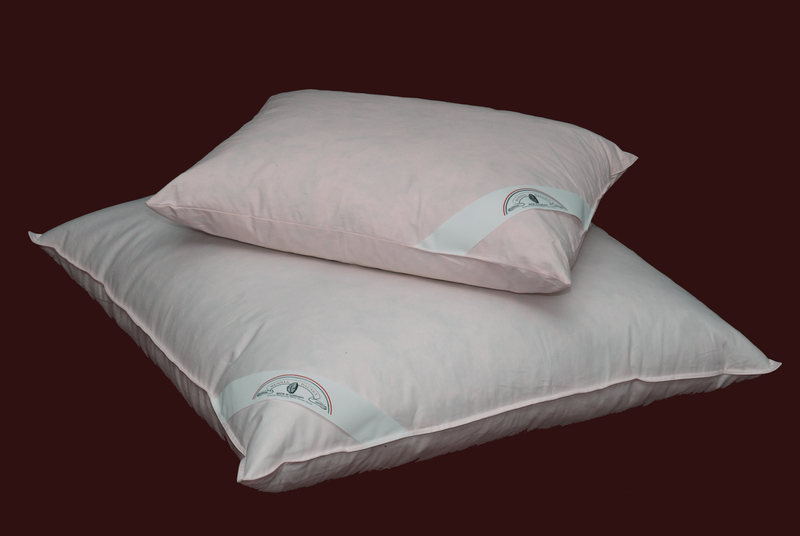 The polyester filled pillow is soft and light, it grants well-sleeping. The polyester filling is breathable, moisture permeable, antiallergic, skin-friendly. We sew it between cotton. 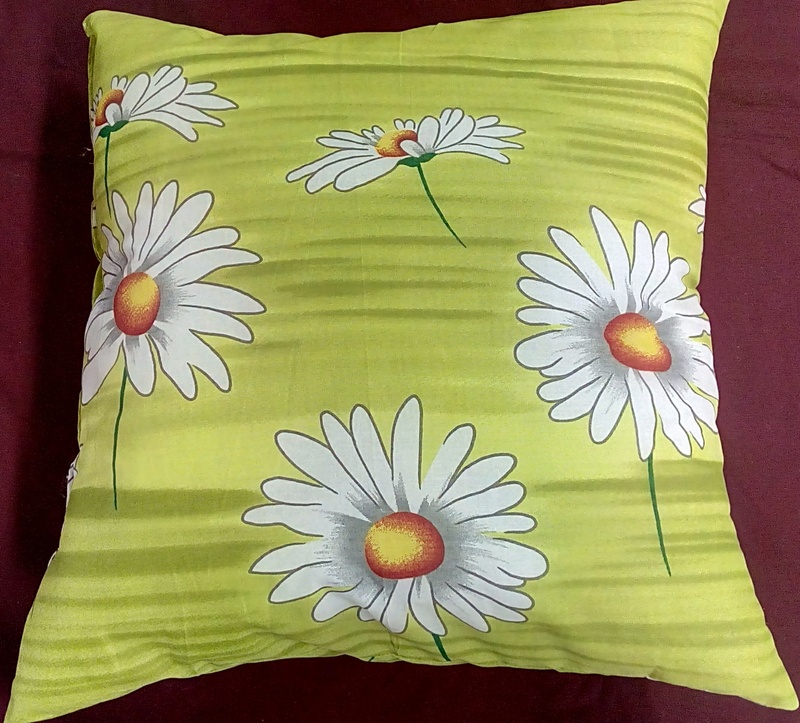 The pillow has made with the most modern technology. Graceful, flexible and shape retention product its filling is soft and light siliconized polyester - gives you the approprite comfortability. Microfiber material is a specially woven fabric, light, doesn’t rucks, breathable, washable. 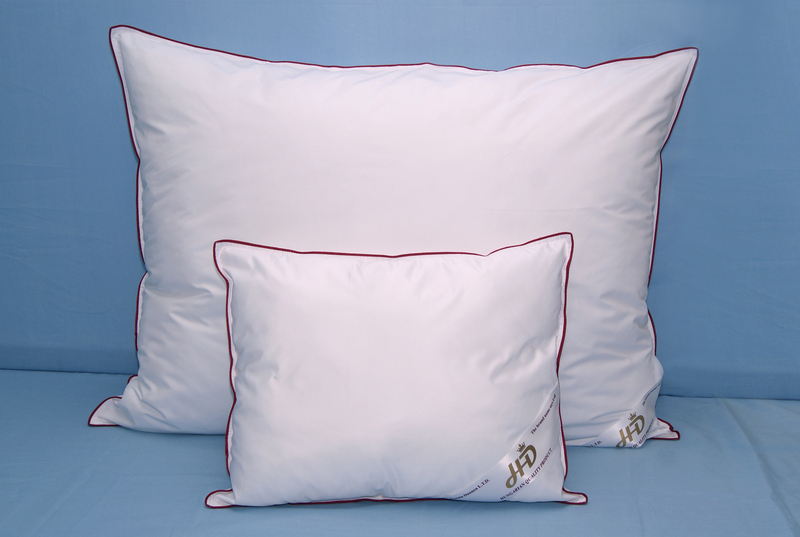 The ultrasonic stepped pillows has made with the latest technology, with this proceeding there aren’t needle marks. We make stepped microfieber pillows with zipper too. 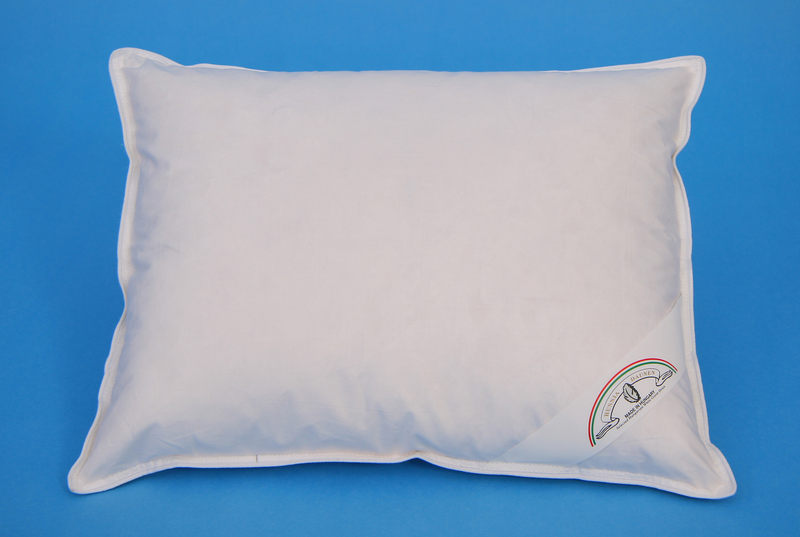 The polyester-filling pillows are soft and light, it grants peaceful sleeping, breathable, antiallergic and skin-friendly. Microfiber material is a specially woven fabric, light, don’t ruck, breathable, washable. 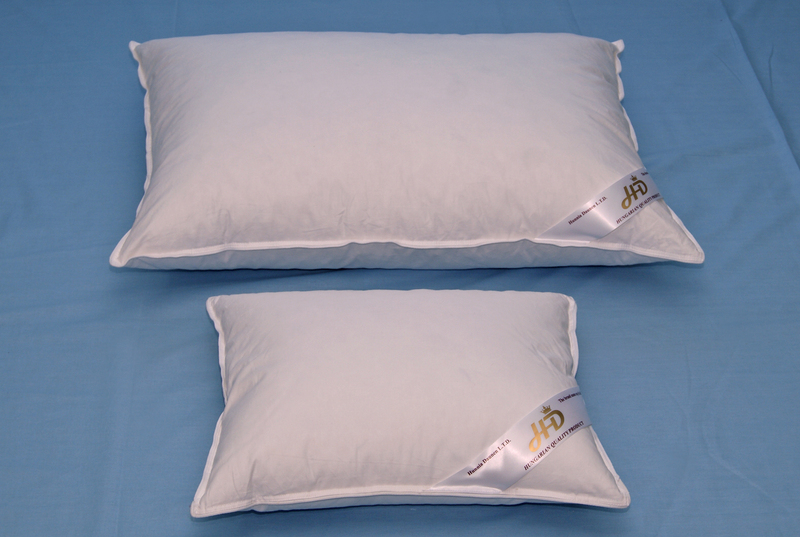 We fill the medilux pillows with polyester balls, which is a special-technology made polyester. Antiallergic, skin-friendly. Becuase of the little balls you can easy stir up the pillow thats because it preserve the limpness. The product is washable on 30C and dryable in drying machine. 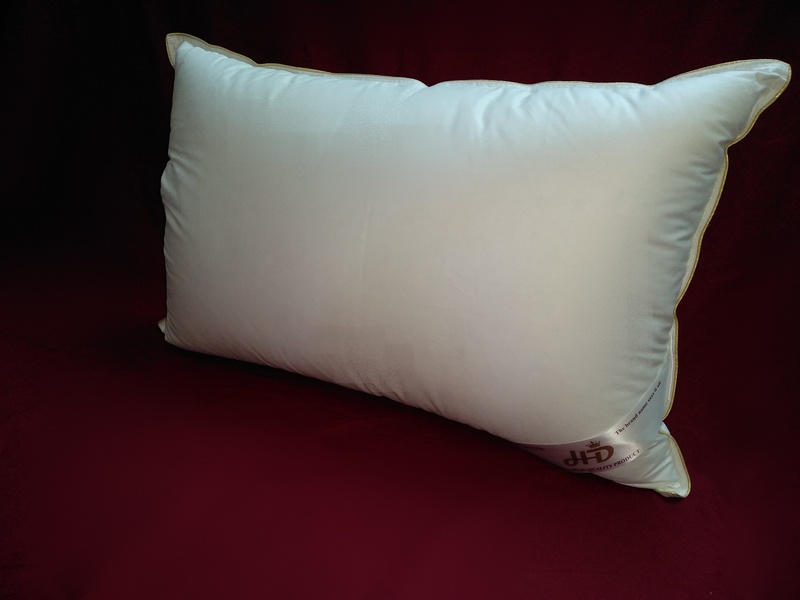 The polyester filled pillow is soft and light, grants peaceful sleeping. The polyester filling is breathable, moisture permeable, antiallergic, skin-friendly. 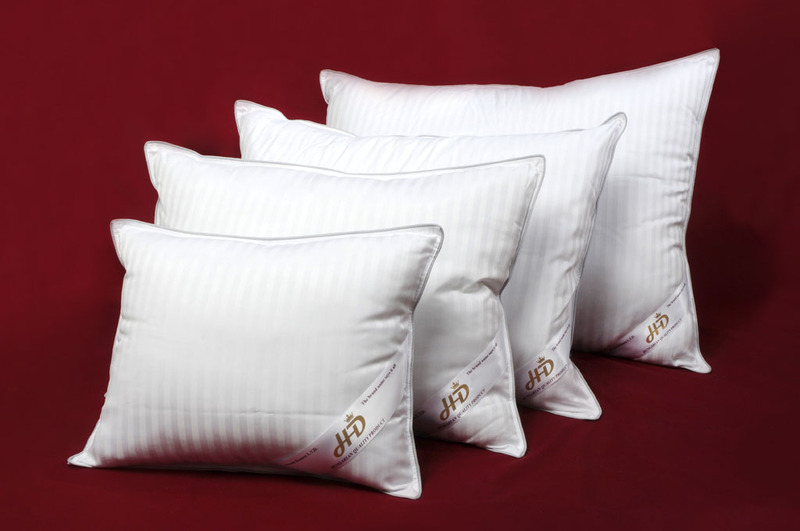 The satin jacquard pillows are made with special technology, there aren’t needle marks.